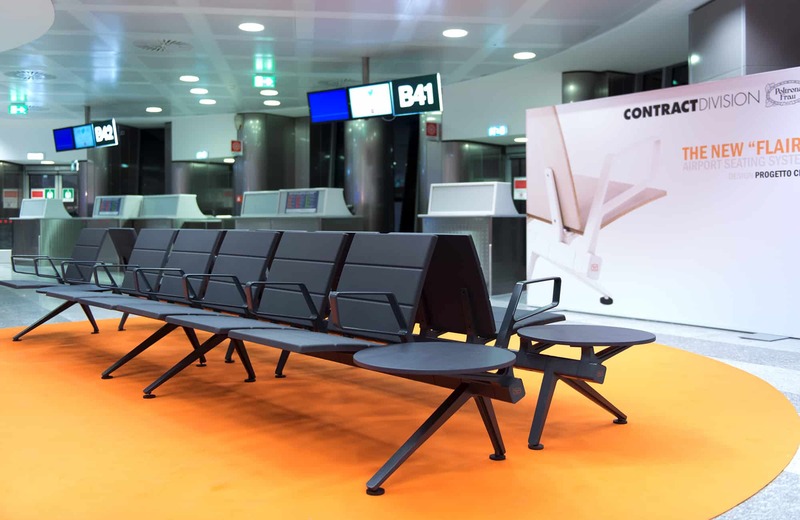 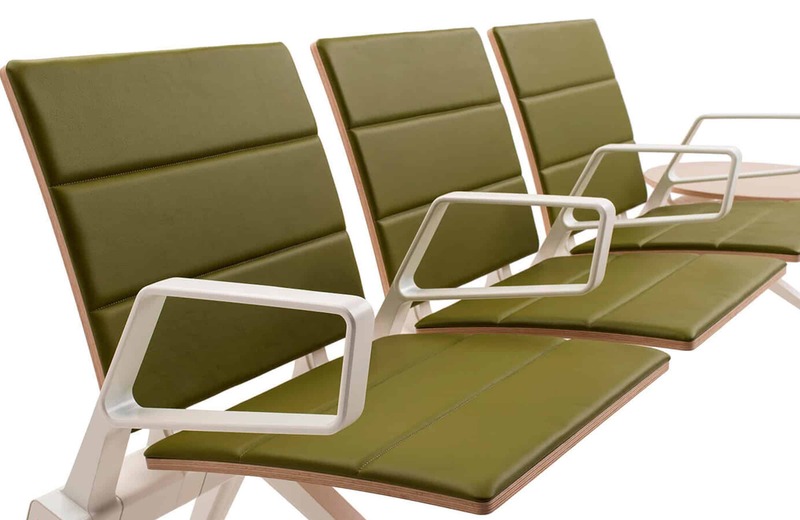 Fly Air is a seating system specifically designed and developed for airport waiting areas. 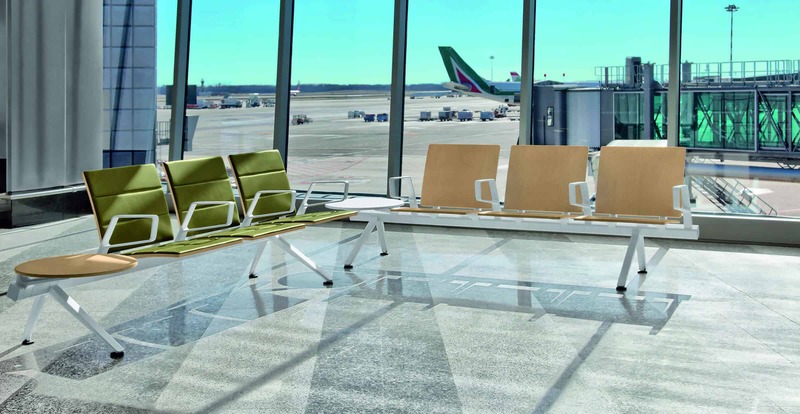 This project, designed by Progetto CMR for Poltrona Frau, represents a real novelty in this special sector. 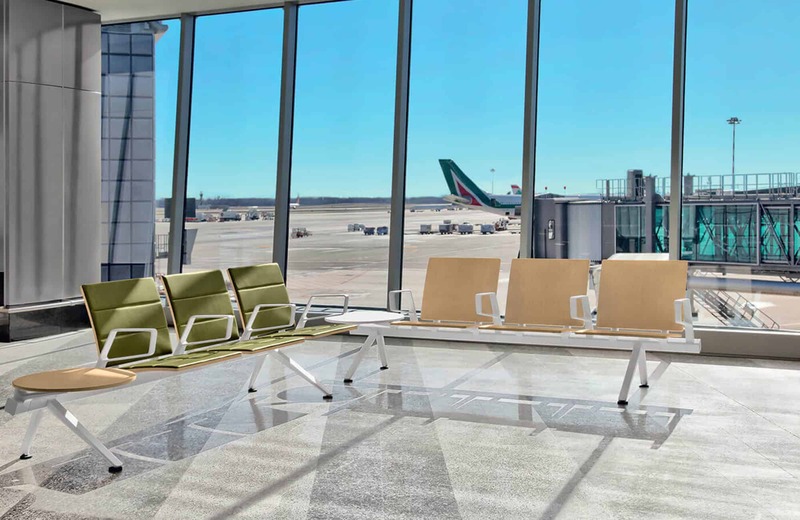 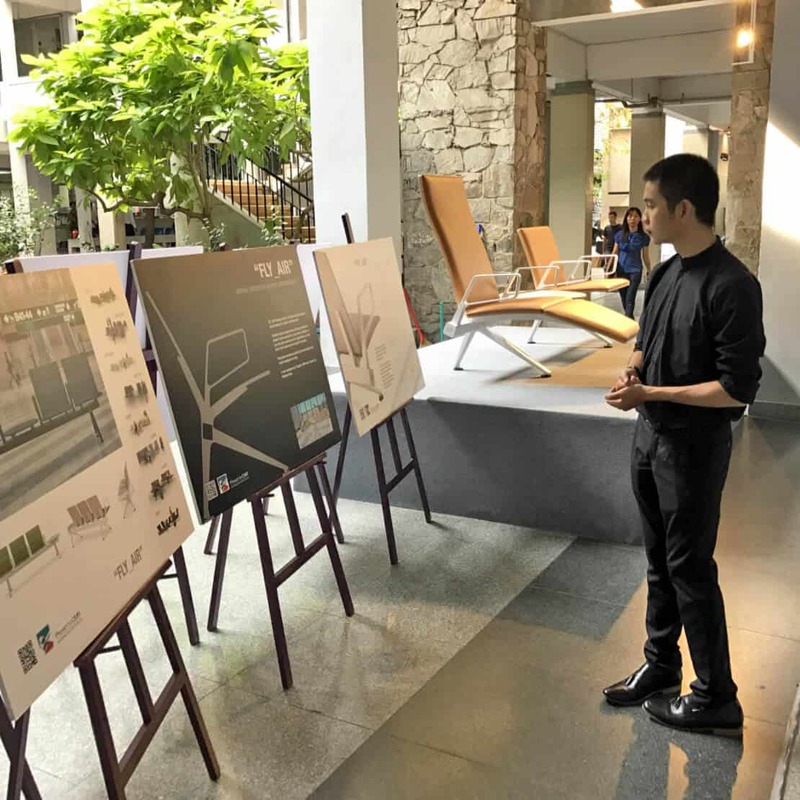 Based on the needs of modern passengers, who want different types of travel experiences and environments, Fly_Air combines comfortable and functional design with evident stylistic elegance. 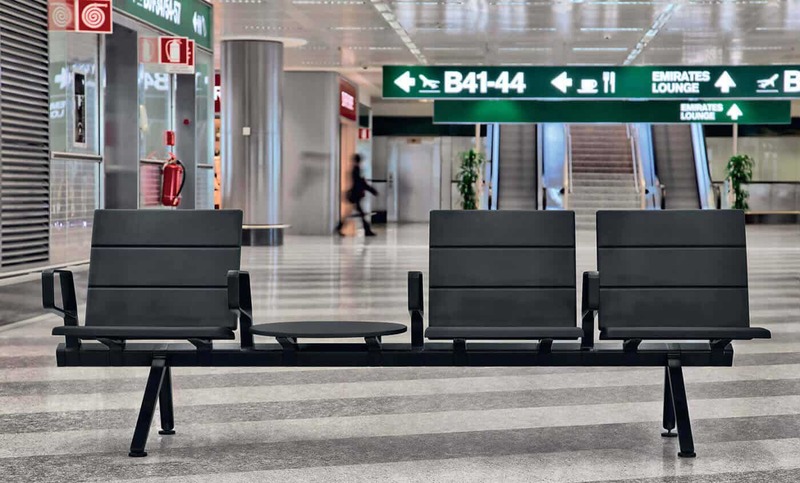 In the modern travel scenario, the time we spend waiting in the airport has become increasingly important and the system Fly_Air seats is a solution that caters for all needs – privacy or connectivity, relaxation or interaction – with the highest level of comfort. 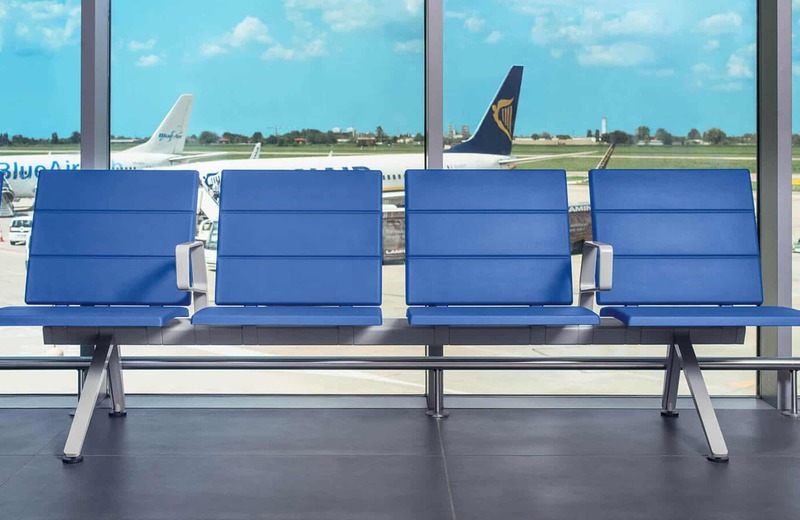 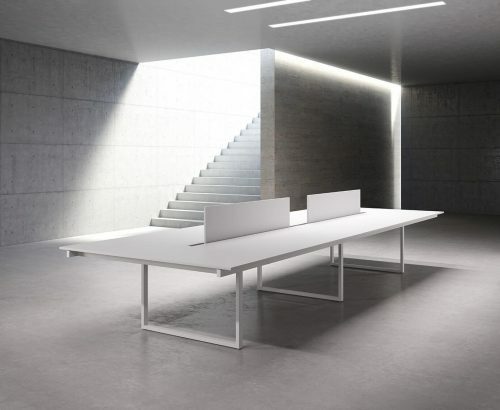 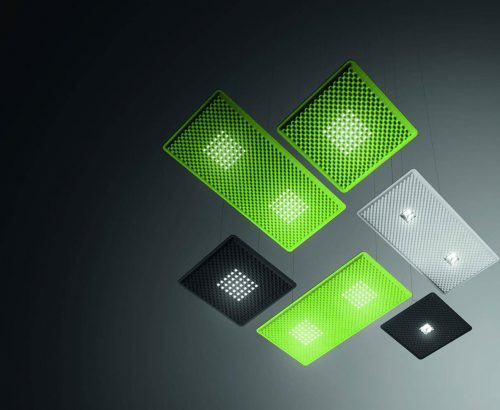 The Fly_Air seating system comes in 8 different models; The basic model can be personalised with different elements such as a headrest, a footrest, 2 different types of side armrests, tables and sound-absorbing screens. 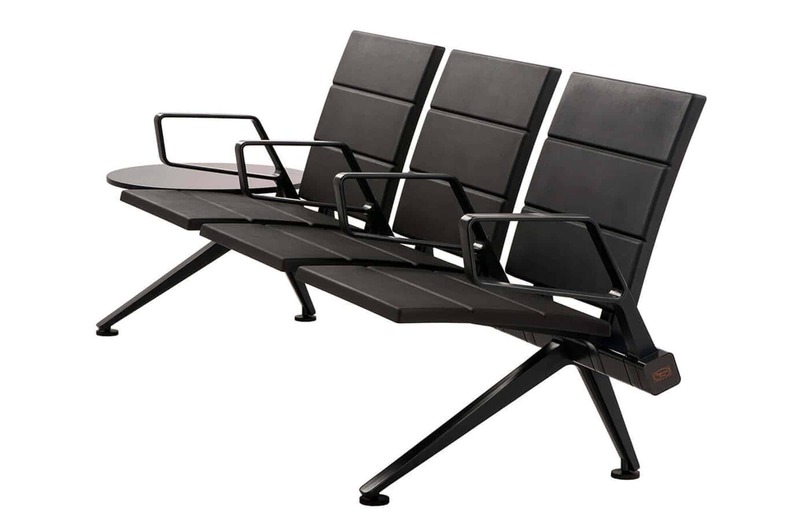 Close attention was focused on creating an easy to clean and easy to fit model and this makes it quick and easy to reconfigure at a later date.